Born: 18 December 1926, Berlin, Weimar Republic/Deutsches Reich [now Germany]. 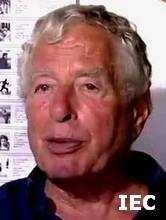 Died: 23 October 2017, Chania, Crete, Greece. Education: University [evening classes science; unfinished]. 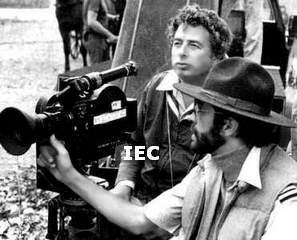 Formed the prod companies The Film Designers [with Derek York] and Screencraft Productions [also with York in 1948]. Ph commercials dir by Val Guest [for Buitoni], a.o. 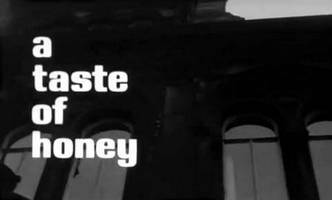 Made 'video essays' for the British Film Institute's DVD-releases of 'A Taste of Honey'  and 'The Loneliness of the Long Distance Runner' . During the latter part of his career, he [co-]photographed some doc's on Hi-8: 'North Sea Follies' & 'Box Boat to Brazil'. 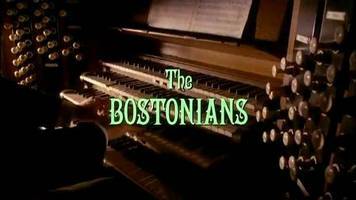 Was a member [later honorary member] of the BSC. 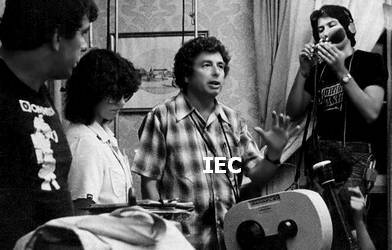 Was head of the camera department of the National Film and Television School [1988-92]. 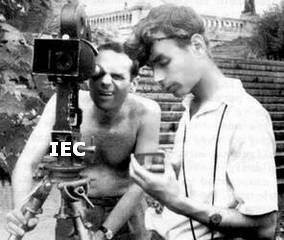 Wrote his memoirs, 'Itinerant Cameraman', in 1987. Played 'Patrick' in 'Before Midnight' (2012, Richard Linklater; ph: Christos Voudouris). Appeared in the doc's 'How the Myth Was Made - A Study of Robert Flaherty's Man of Aran' [1978, George C. Stoney & James B. Brown], 'The Wandering Company' [1984, Humphrey Dixon; ph: Jamie Cabot] & 'After Before' (2016, Athina Rachel Tsangari). 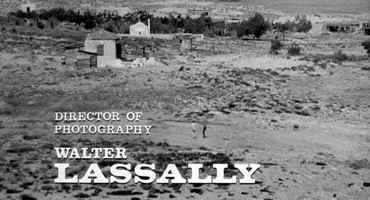 Awards: 'Oscar' AA [1964; b&w] for 'Zorba the Greek'; BAFTA Film Award nom  for 'Heat and Dust'; BSC Award nom  for 'The Bostonians'; Marburger Kamerapreis ; ASC International Achievement Award . 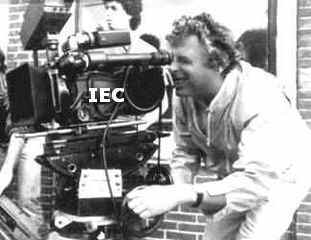 Obituary: The title of the cinematographer Walter Lassally's 1987 autobiography, 'Itinerant Cameraman', could not have been more apt. Lassally, who has died aged 90, was born in Germany [he had a German father and a Polish mother], lived and worked in the UK, and made films in, among many other countries, Czechoslovakia and Greece. It was the last of these, where he shot 'Zorba the Greek', that meant the most to him. 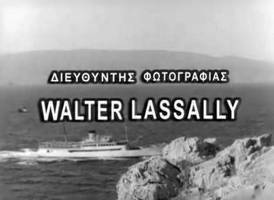 Known locally as 'Walter the Greek', Lassally lived for many years outside the city of Chania, on the island of Crete, near the beach that had served as location for the movie's celebrated final scene, with Anthony Quinn and Alan Bates dancing to the music of Mikis Theodorakis. He shot six films with its Greek director Michael Cacoyannis, but he had earlier been associated closely with the Free Cinema movement in the UK and the directors that came out of it, and his other celebrated connection was with the American director James Ivory. He had already formed certain strong opinions about cinema - believing in personal, low-budget film-making - and joined the group of budding film-makers, including Lindsay Anderson, Gavin Lambert and the Czech-born Karel Reisz [another refugee from the Nazis], who wrote for the influential 'Sequence' magazine. Many of the writers made pungent comments on the structure of the industry and the social implications of the medium. 'Sequence' was important in disseminating the ideas that were later developed in Free Cinema. This movement, closely connected with contemporary revolts against orthodoxy in the theatre and literature, grew around a series of short films shown at the National Film Theatre in the 1950s. 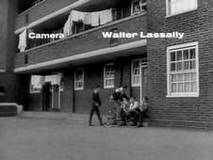 Lassally shot a number of documentaries for Anderson, including 'Thursday's Children' , about the Royal School for the Deaf in Margate, and 'Every Day Except Christmas' , about Covent Garden market, as well as working on 'Momma Don't Allow' , directed by Reisz and Tony Richardson and filmed at Wood Green jazz club in north London, and Reisz’s 'We Are the Lambeth Boys' . 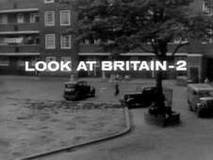 Although all the directors were middle-class, these films attempted to depict Britain from a working-class point of view. 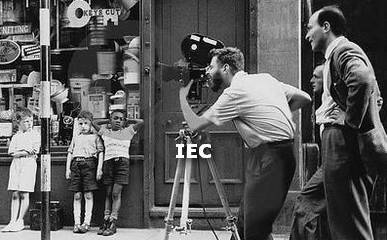 They shot real people in real locations, frequently using the newly available Bolex hand-held cameras. 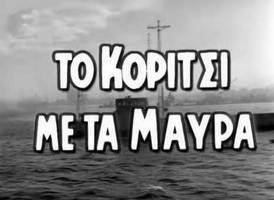 A chance meeting with Cacoyannis at the 1954 Cannes Film Festival was to change Lassally's life. The following year, he went to Athens to start shooting 'A Girl in Black' , in which, immediately, his visual style, with sharp blacks and whites, imposed itself and became identified with the lyrical realism of Cacoyannis's films. 'Zorba the Greek' was shot in four different locations in Crete, using several ravishing aerial shots as well as some noteworthy hand-held camerawork. Lassally fell in love with the island and, in 1998, he moved permanently to Stavros, where he lived alone [his wife, Nadia, having died in 1994] and where he could admire its famous rock, which features so prominently in the film. 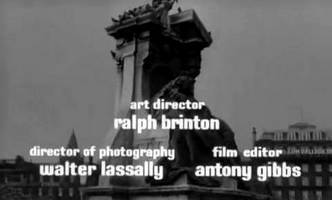 In contrast to the films he made in Greece were those he shot in the UK for Richardson during the '60s new wave. 'A Taste of Honey' and 'The Loneliness of the Long Distance Runner' were greyly naturalistic. 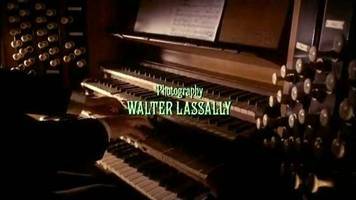 Lassally used subdued colour for 'Tom Jones', a lively swinging 60s version of Henry Fielding's picaresque 18th-century classic novel that deployed a barrage of visual tricks: Tom's childhood is narrated in the style of a silent film, and there is use of slow and accelerated motion and the freeze frame, all mixed with delicately photographed rustic settings. 'Zorba the Greek' : 'Walter Lassally screened two sequences taking place on board ship: the ship's main lounge area and a deck exterior. 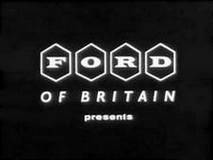 He explained how they managed a pretty convincing storm simulation: "The interior was entirely shot with a hand-held Arriflex with all the apparent motion of the ship done by me waving the camera about in a special manner which I developed. The movement of a ship in a storm is really quite complex - it consists of a number of shocks and shudders combined with tilts and sudden movements in one direction and a slow recovery in the opposite direction, so I developed a special technique for filming those scenes. The only proviso was it was necessary to choose between hand-held and sync sound - you couldn't have both, because then there were no hand-held sync sound cameras. "The second sequence is an exterior on the deck. For that part of the shooting the sea was actually quite rough but because it's a sync sound sequence, the camera had to be blimped, it had to be tied down. Now if the camera moves with the ship, it's only by reference to the horizon that you can tell that anything unusual is going on and that makes it much less effective visually - it doesn't show the motion of the ship as effectively as the previous sequence." To demonstrate lighting a location interior, Lassally used as an example, a room representing Alan Bates' modest lodgings: "You can fairly easily simulate the effect of a sunlit room by the use of spotlights, but it's much more difficult to simulate the effect of just daylight coming in through the windows and you also have a problem if you use the windows to light through. My solution was daylight filtered appropriately through ND filters on the window. It's always a question of balancing the exterior and interior and maintaining the detail on the curtain, to make sure it doesn't become a brilliant white triangle. "For the lighting inside, we had a kind of primitive grid system fixed to the ceiling, which fortunately was quite high. So the room's lit with a mixture of 2Ks and 1Ks hanging from the beams, taking care that you don't get any strong shadows anywhere because in a situation where you've got daylight coming through the window but not sunlight, a very strong shadow would look unnatural." 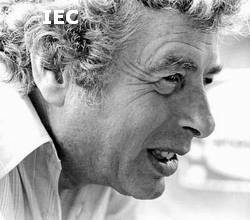 Lassally agreed that the lighting equipment he used would today be regarded as fairly primitive: "The biggest light in use on 'Zorba the Greek' would have been a 5K of which we would have had no more than three. On this scene we would have had two of three 2Ks, half a dozen pups, 1Ks, which in those days tended to be either 500W or 750W and some very small inky-dinks which are still in use today - they're 200-250W. Those would be augmented with some floodlights which I developed specially for the daylight interiors, just a very primitive tin can with 4 or 5 mushroom floods in it diffused with some spun over it and that light I would have used on any of the daylight interiors because that would throw a much more indistinct shadow than that from a 2K or a baby. I tend to favor lighting interiors from entirely within the room and only very rarely use lights through the windows." 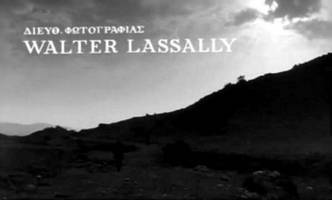 Lassally is particularly proud of his pioneering use [first on 'A Taste of Honey'] of three different film stocks which are intercut un-noticeably throughout the film: "'Zorba the Greek' was shot on [Ilford] Pan F, FP3 and HP3, and 'A Taste of Honey' was shot on FP3, HP3 and HPS [which no longer exists]. Of course I was advised not to do that - it wouldn't work. So when you cut from interior to exterior you're cutting from one film stock to another which at the time was considered a very dangerous thing to do, they thought it would become very obvious on the cut but of course it isn't. Three Installations [Lindsay Anderson] b&w; comm doc/23m; addph: John Jones; for English conveyor belt makers Richard Sutcliffe Ltd.
[Right] with dir James Broughton - "The Pleasure Garden"
The Simpson & Godlee Story [Hans Casparius] ? Beside the Seaside [Pamela Bower] b&w; doc/2136 ft; the same film as 'The Brighton Story' (1955) ? 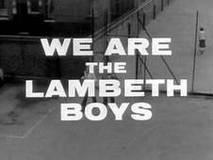 With dir Karel Reisz [right] - "We Are the Lambeth Boys"
Labyrinth [Roman Kroitor, Colin Low & Hugh O'Connor] mixed-media/multi-screen project for EXPO '67, Montreal; cph: Michel Thomas-d'Hoste, Georges Dufaux, Gilles Gascon, a.o. Olimpiada en México/The Olympics in Mexico [Alberto Isaac] ts/c; doc/116m; ph 'Gymnastics' seq; other ph: Tony Imi, Alex Sheridan, Bertrand van Munster, Brian Probyn, Arthur Wooster, Eric van Haren Noman, Alan Hewison, a.o. Le Mans [Lee H. Katzin] p/c; WL was replaced after 6 weeks as 1st unit doph (for dir John Sturges, who left the prod at the same time); ph: Robert B. Hauser & René Guissart, Jr.
Tausend Morgensterne tanzen um einen blassen Mond [Gernot Friedel] ? The Commanding Sea [Michael Gill & Anthony Mayer] 6-part doc series/16mm (1981); cph: ? What's In a Number [John Krish; comm short] c.asst; ph: ? Du und mancher Kamerad/You and Your Pal - The German Story [Andrew & Annelie Thorndike; doc] speaker English commentary; ph: Waldemar Ruge, a.o.